Each carton contains 15 sets. 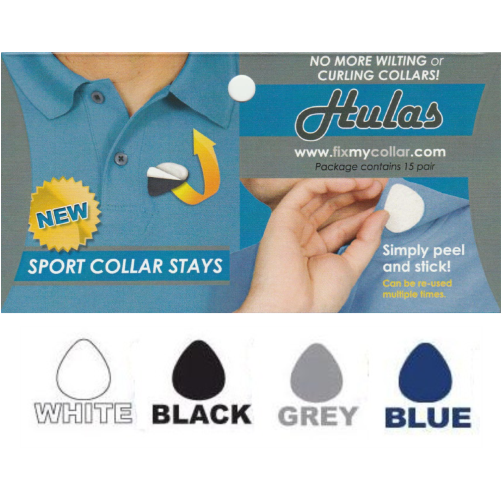 Sports Collar Stays by the Carton are packaged for the individual consumer. Cartons are available in White, Black, Grey, and Blue. A combination carton of White, Black, and Grey is also available.